Here’s a quick review of the BPMDJ audio app I just tested some days ago. Bought on the store for a very cheap price, It offers you the possibility to create great mixtape almost effortlessly. There are not a lot of tools properly taylored to let us mix music on Android. Despite plenty of somehow-working app, allmost none of them let you do a two hours flawless mix, using your mixing skills. Most of them are buggy, improperly designed or lag when you really are mixing. BpmDj is different in that. 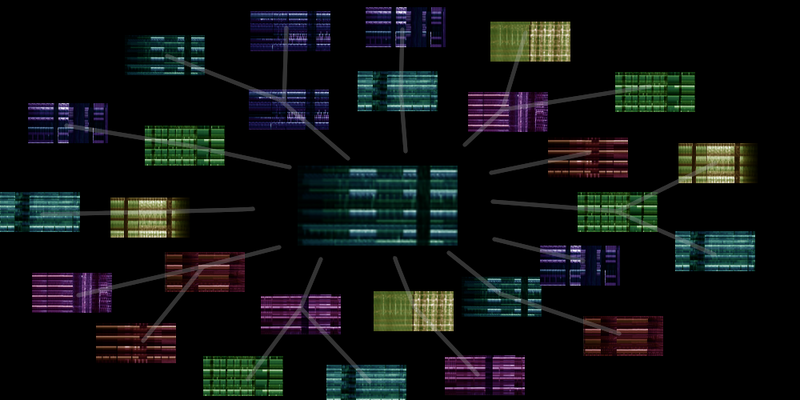 It allows you to make long mixtapes by editing a mixstream, layed out in nice pictures. It is however not a real-time application, so let’s be clear, for Android there’s still no app similar to IOs traktordj. Maybe Cross DJ, but that is not the focus of this article. BpmDj was a linux app back in the days I started mixing. I never installed it because the project seemed asleep at that time. Instead I chose Mixxx from ubuntu 8.04 to 10.10. Since then, I tried to learn how to mix on everything (not tried the cdj yet… shame on me). 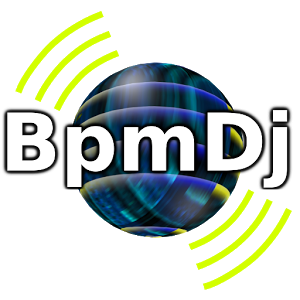 Since end 2012, the BpmDj software was completely rewritten for Android. Thereby mutating into a simple, yet powerfull timeline mix editor. It mainly offers you the possibility to create a mixtape, and is not really suited for live mixing. Installing it on my phone was a piece of cake. Launching the app the first time brings you to a realy well designed tutorial. You can find it on youtube (or here: http://bpmdj.yellowcouch.org/speaking-tutorial.html) as well. Before you start, you have to analyse your tracks. It was there that BpmDj disappointed me the most. I tried to play music at the highest possible quality (Flac in my case), sadly BpmDj doesn’t handle Flac. The lead developper explained me why it currently does not support Flac in a very precise way, and I found his thinking totaly understandable. Werner explained me why Flac decoding won’t be on the map in the future, and why their MP3 decoder is so efficient, compared to other similar apps on android. FLAC/OGG support is a problem. It already took way too much time to create/fix an MP3 decoder so that it would serve our purpose. We ended up creating/using a modified version of the Javazoom JLayer Mp3 decoder library. The modified version is about 2.5 times faster than the original and it allows for exact seekability. That is: when BpmDj requests playposition 28598724, then the decoder will provide sample exact data. Of course, it is very difficult to stick with this approach, since I would like to support other file formats as well. One solution could be to use the Android native API/Decoders (which are sadly not available before API16 devices), and for which I don’t even know whether they can seek correctly. Currently I don’t hold much hope for them. Seekability in decoders tends to be, ‘more or less’ around target positions. When your tracks are analysed (which takes a longer time than on other softwares, because tempo analysis goes far deeper than in any other thing I tested on Android, even Cross. ), you can start mixing. – A splitable output that let you do a “cueing/live” style recording. It’s an app taylored to create beautyfull mixtapes effortlessly (you might even find some creative uses for it). So, you’ll say it’s cheating (especialy if you’re a vinyl Ayatollah). Nethertheless you can test it. I used it from time to time to test if two tracks go well together, and I even made effortlessly two complete mixtapes in a very short time. Oh, and there’s also those two mixtapes I did using this app… Enjoy!